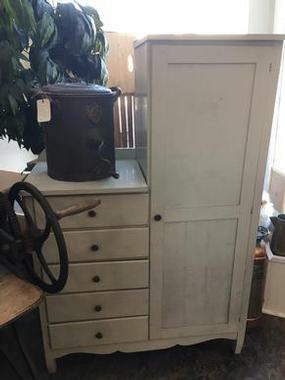 Vintage wardrobe armoire. Charming piece! Great for a child’s room - the cottage - even in a bathroom. Measures 40” wide x 19” deep x 60” tall. We are leaving as is. A lovely primitive farmhouse feel to it. Just a really nice find.